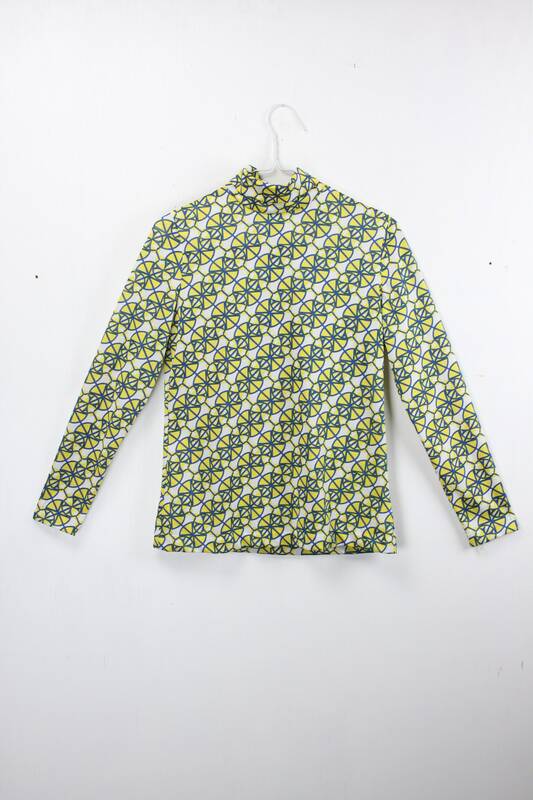 This vintage 1960's Blouse is ready to fulfill all of your retro dreams! 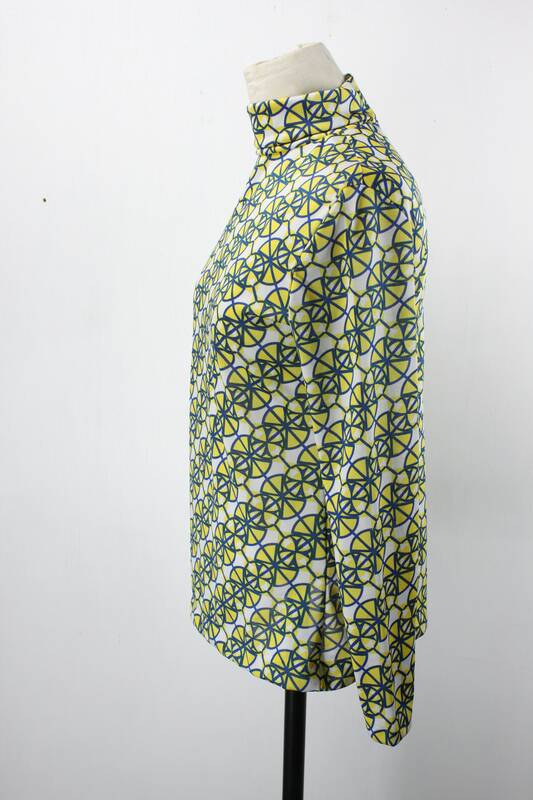 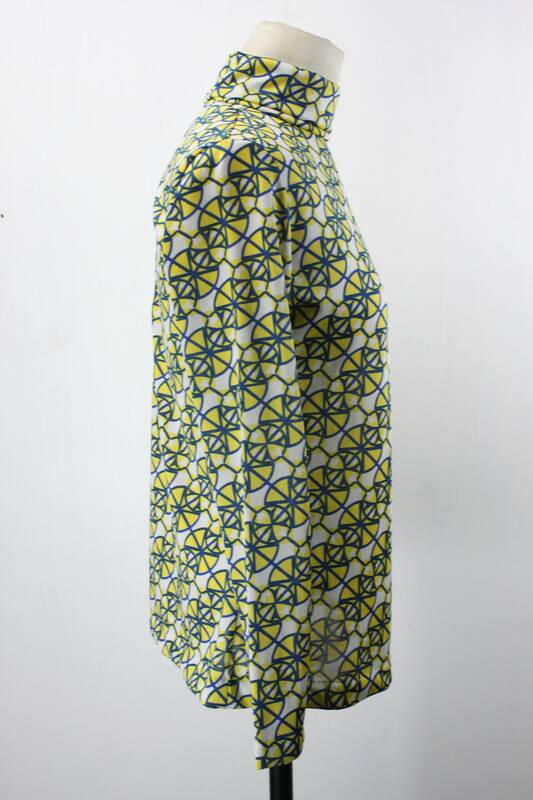 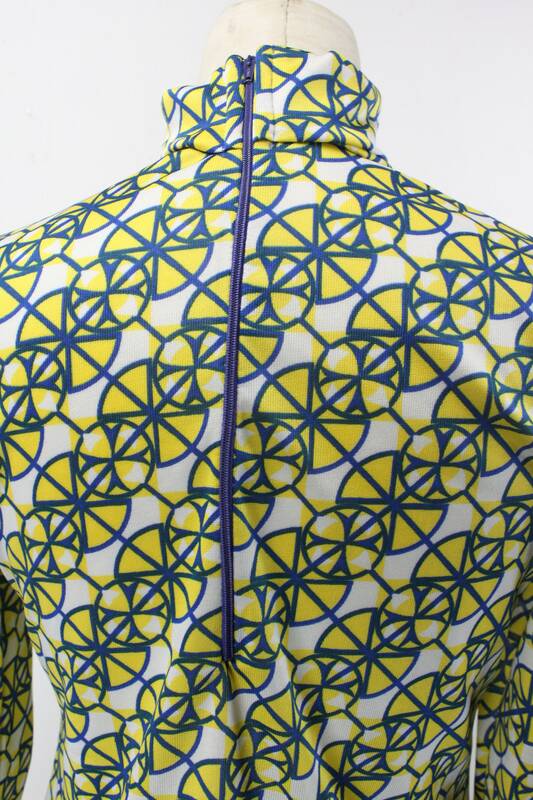 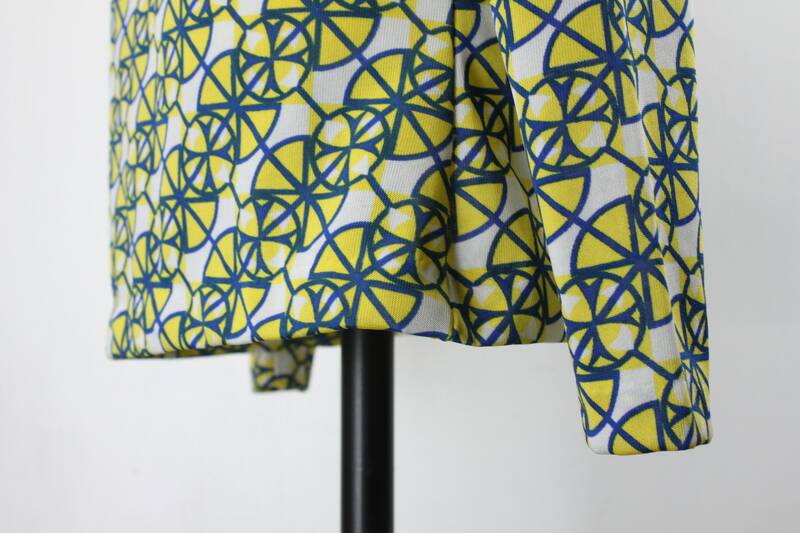 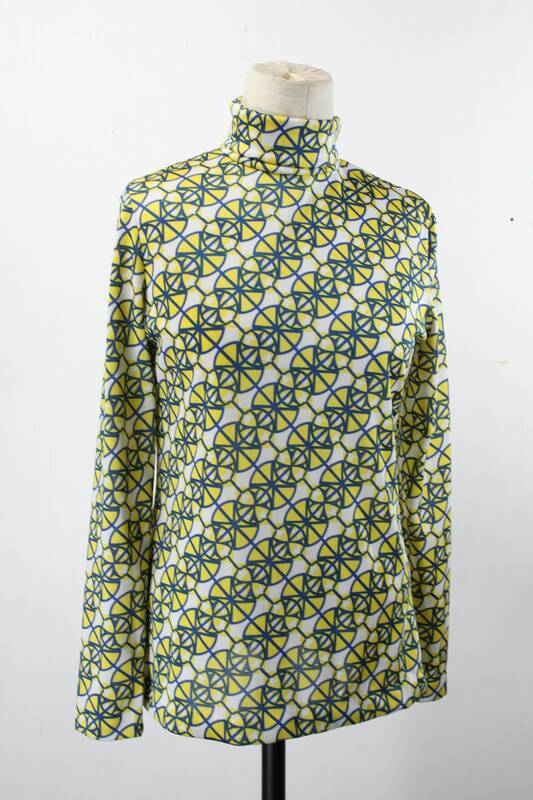 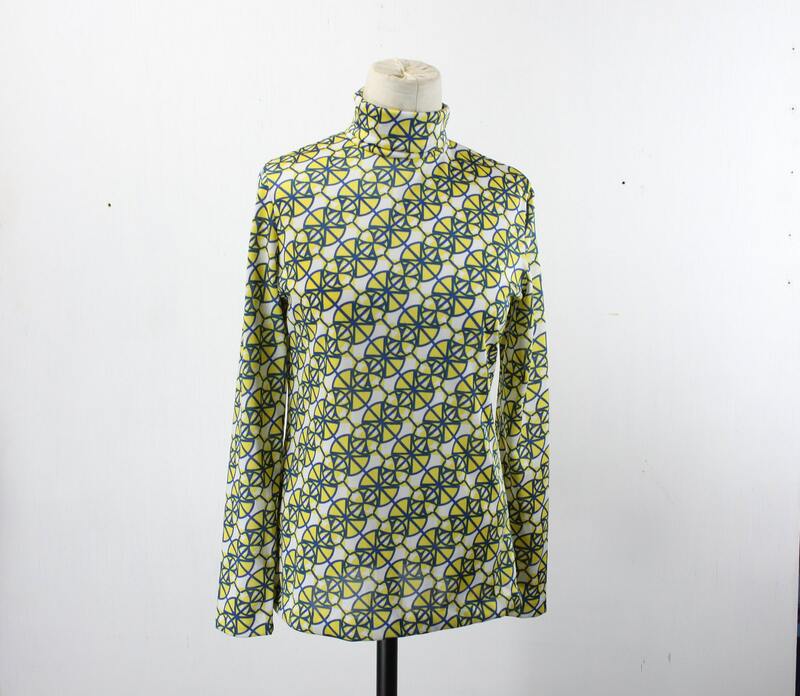 This amazing blouse features a yellow and blue medallion pattern - which, at a distance takes on the appearance of a green stripe pattern - Truly psychedelic! 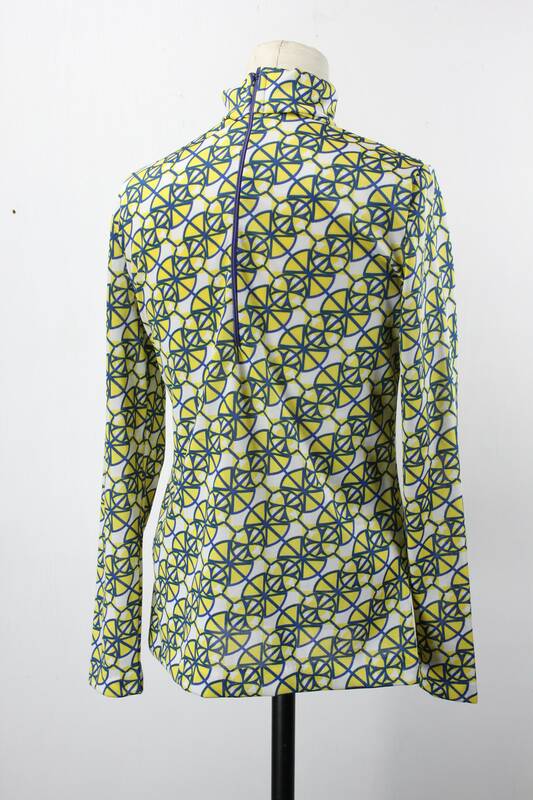 This blouse was made from a stretch polyester giving it wonderful bounce and movement! 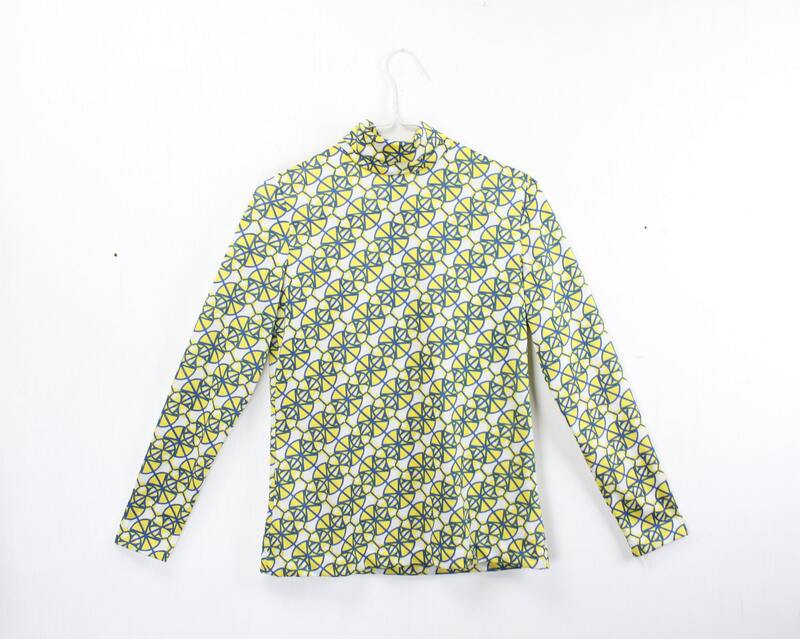 - Neck to hem: 23"